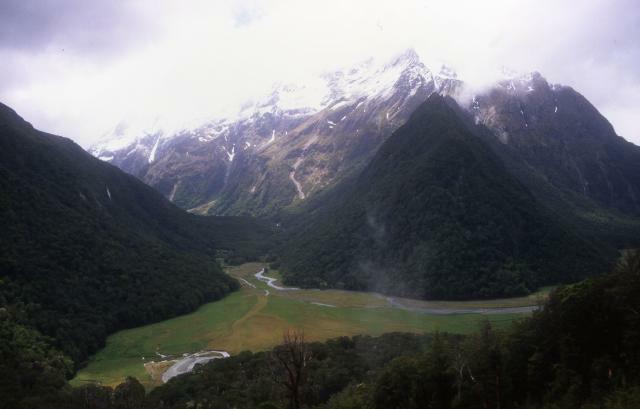 Tramping ("hiking" for the non-kiwis) is such a popular activity in New Zealand that the government is forced to regulate the trampers on the most sought after tracks. These tracks are designated as "Great Walks" and most of them needs to be booked months in advance to ensure a chance to "walk" them. In return for your troubles, you get to stay in huts, sleep on bunker beds and cook using gas stoves - a much better option to camping in these wet regions. Some of the tracks also permit camping as well. 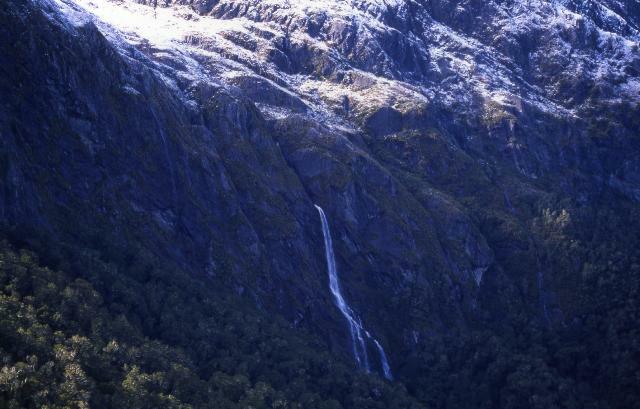 We decided to walk the two most popular walks in the south island - the Routeburn Track and the Milford Track. Our first tramp, the tramp on the Routeburn, started off with a long bus ride to the trailhead from where we had to walk 4 hours in pouring rain to our first hut, the Routeburn Falls hut. 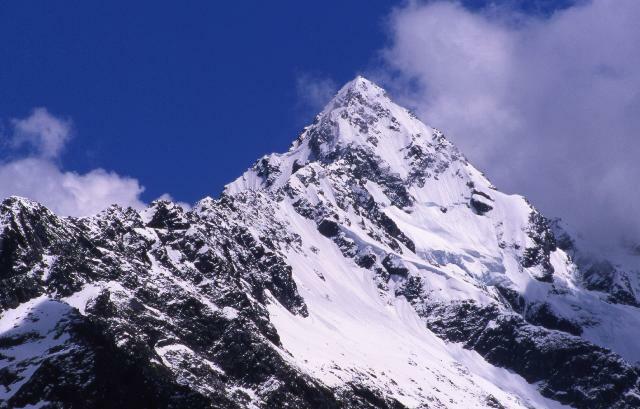 I had managed to contract a bad sore throat the night before and hence was forced to spend a miserable first night in what turned out to be the coldest night of our trip. 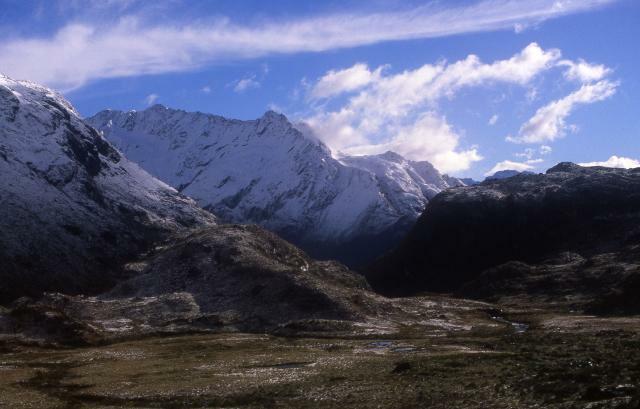 The next day's task was to walk up 200 m to the highest point, Harris Saddle, and walk down 400 m to the next hut, the Mackenzie hut - a total of 6 hrs of walking. Luckily for us, the weather cleared up in the morning and we had an enjoyable walk with brilliant views till the saddle. Then the weather changed dramatically and we soon found ourselves descending in a snow storm with zero visibility. My task was accentuated by my cold and by the fact that I was actually carrying food for 7 days including for the Milford track as well. I was paying for the stupidity of not posting the Milford stuff to be collected between the walks. Anyway, we somehow managed to crawl to Mackenzie hut after what seemed to be a millennium. The following day we had to walk 3 hrs to the Howden hut, the last hut on the track, in one of the best weather conditions seen in these parts in months - an absolute heaven compared to the hellish descent of the previous day. Majority of the people continue on to the "Divide", the track end, which is only about an hour and a half from the last hut. As I had done my booking 11,000 kms away from a cubicle in LA, it is not surprising that I was not part of this "majority". But my folly gave us ample time to do a side trip up the nearby Key Summit (1.5 hr return) and on a perfect day like this it was worth its effort in gold. We had absolutely smashing views on top and probably spent the best two hours of our trip there. The following day we had an uneventful walk to the "divide" and took a shuttle to the town of Te Anau. The road trip was doubly welcome as it took us past one of the most spectacular alpine scenery on the planet. The road itself, known as the "Milford Road" connecting Milford Sound with Te Anau is easily the most scenic I have seen in my life. Unfortunately, both the times I travelled on it, I was on public transport and wasn't able to stop for photographs.